Alpine White 2019 BMW 8 Series M850i xDrive AWD 8-Speed Automatic Sport 4.4L V8 32V TwinPower Turbo *Navigation / GPS, *All-Wheel Drive / AWD, *Drivers Assistance Pro Pkg, *Comfort Seating Package, *Bowers Wilkins sound system, *M Carbon Roof, *Display Key, *Glass Controls, *Side and Top View Backup Camera, *Heated Seats, *Cooled / Ventilated Seats, *Heated Steering Wheel, *20" Rims, *Park Distance Control, *Active Blind Spot Detection, *Lane Departure Warning System, *Head-up Display, *Active Driving Assistant, *Active Cruise Control, *Connected Package Pro, *Live Cockpit Pro, *Gesture Control, *Wireless Charging, *Apple CarPlay, *FREE 36 Months/36,000 Miles Maintenance, and much more!! *See dealer for details. Call today to set up a test drive at (309) 692-4840. Located at BMW of Peoria in Peoria, IL. 1720 W. Pioneer Parkway. Recent Arrival! Located at BMW of Peoria, 1720 W Pioneer Parkway Peoria, Illinois 61615. We are family-owned, and have been serving Central Illinois since 1963. We have access to virtually every make and model of car, truck, and SUV! CALL TODAY TO SCHEDULE A TEST DRIVE (309) 692-4840. Carbon Black Metallic 2019 BMW 8 Series M850i xDrive Convertible equipped with *Tartufo Individual Extended Merino Leather Upholstery, a *8-Speed Automatic Sport 4.4L V8 32V TwinPower Turbo, *Navigation / GPS, *All-Wheel Drive / AWD, *Driver Assistance Professional, *Harmon Kardon Surround Sound, *Side and Top View Backup Camera, *Adaptive M Suspension, *Adaptive LED Laser Lights, *Connected Package Pro, *Heated and Ventilated Seats, *Neck Warmers, *20" Rims, *Soft-close automatic doors, *Glass Controls, *Display Key, *Park Distance Control, *Active Blind Spot Detection, *Lane Departure Warning System, *Head-up Display, *Apple CarPlay, *Hands Free Bluetooth and USB Audio Connection, *FREE 36 Months/36,000 Miles Maintenance, and much more!! *See dealer for details.. Call today to set up a test drive at (309) 692-4840. Located at BMW of Peoria in Peoria, IL. 1720 W. Pioneer Parkway. Recent Arrival! 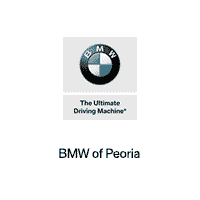 17/26 City/Highway MPG Located at BMW of Peoria, 1720 W Pioneer Parkway Peoria, Illinois 61615. We are family-owned, and have been serving Central Illinois since 1963. We have access to virtually every make and model of car, truck, and SUV! CALL TODAY TO SCHEDULE A TEST DRIVE (309) 692-4840. *Plus taxes, title fees and $179.81 documentation fee. * While great effort is made to ensure the accuracy of the information on this site, errors do occur so please verify information with a customer service rep. This is easily done by calling us at (888) 601-1983 or by visiting us at the dealership.While great effort is made to ensure the accuracy of the information on this site, errors do occur so please verify information with a customer service rep.
**With approved credit. Terms may vary. Monthly payments are only estimates derived from the vehicle price with a 72 month term, 4.9% interest and 10% downpayment. BMW of Peoria	40.7827868, -89.6195739.